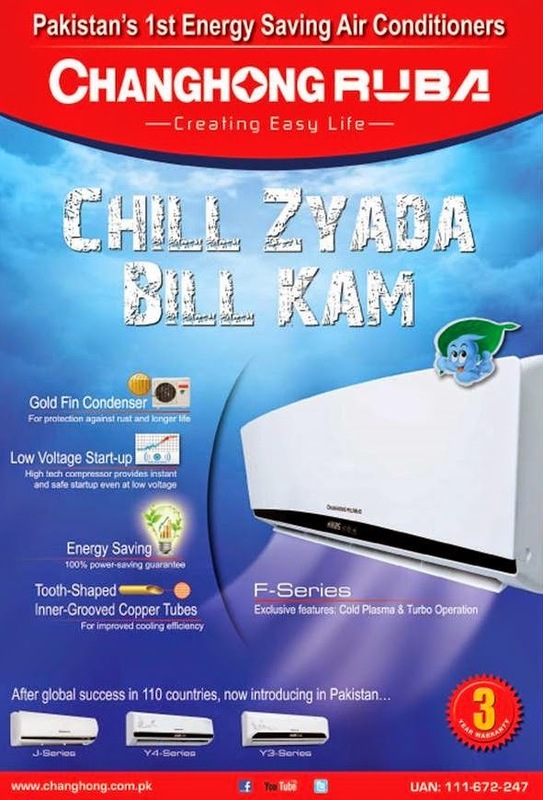 Changhong Ruba creating easy life is chines Electronic company now gradually launched electronic devices in Pakistan Previously we are update our users about Changhong Ruba Smart LED TV now we bring new Changhong Ruba Split AC. Changhong Ruba 1 Ton Split AC. Changhong Ruba 1.5 Ton Split AC. Changhong Ruba Y3 Series 1.5 Ton AC. Smart LED for displaying temperature. Pure Copper Pipe and Hydrophilic fins. Fan Speed Modes: Auto, Slow, High, Full Speed. Other Modes:Cool, Fan, Humidify, Sleep Mode. For Changhong Ruba Y3 Series 1.5 Ton.